Alivio DX Spinning oma progresseruva XT-30 süsinik..
SHIMANO Beastmaster Ex SpinningThe new Beastma..
Catana DX on vana hea Shimano Catana spinningu m.. The Catana Spinning EX is the replacer for the Cat..
Komplekti kuulub: Rull: Shimano FX 2500 FB Ritv:..
Mudel: 18PADRN266L2 Weight: 85g Lenght: 1.98 Tr..
Mudel: 18PADRN267ML Weight: 92g Lenght: 2.01 Tr.. The Scimitar BX is a very versatile spinning rod f..
A comprehensive range of lure rods with high end t.. The new SpeedMaster DX: it’s thin, light and respo..
Vengeance on ehitatud geofiiber lisandiga XT30 süs..
Vengeance BX Spinning. 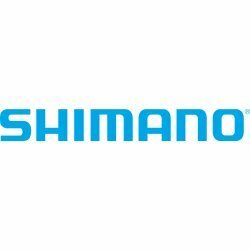 The XT-30 blank with its f..
SHIMANO ZodiasZodias is built with the purpose..
SHIMANO Zodias CastingZodias is built with th..